How can you help prevent this happening to you? The pictures used to illustrate this month's Lessons Learnt are intended to give you a visual cue to check your gear thoroughly before you hit the water so you can avoid these sorts of issues. Get your motors serviced, ensure batteries are fully charged, have fresh fuel in your tanks and all your safety gear on board and in tip top condition. This photo of a cracked fuel tank was emailed to us after a boat owner noticed a strange smell and realised he shouldn't go out until the issue was resolved. The cracks emanated from the fastening holes for the sender unit in the top of the tank. Inspect fuel tanks, fittings and bilge spaces regularly to ensure that the fuel is effectively contained within the tank. Any breathers should lead over board and there should be no smell of petrol vapours inside the boat. If you smell petrol, stop and don't go out until the problem is fixed. Fuel hoses may degrade over time and should also be inspected periodically to ensure that they are sound. You should also check your equipment's expiry dates. If you have an emergency beacon, make sure it's registered so it can be used to call for help if you need it. Planning and preparation prevents poor performance... Don't waste your first day on the water getting towed back to shore. 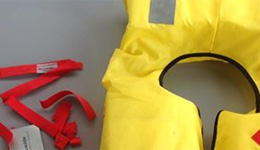 We have also received a number of photos and queries about lifejackets that are well past their prime - these problems have gone unnoticed by boat owners because safety gear is sometimes tucked out of sight. Check sheets and self inspection requirements are set by the lifejacket manufacturers and can be found on their websites. Please be mindful that the requirements vary between manufacturers, so having the correct information is vital in ensuring your inflatable lifejacket is maintained correctly. A lifejacket manufacturer recently told our team: "I am concerned that although the transition to inflatable lifejackets is a positive for wearability and also in water performance, there is an extended risk that self inspection is not performed correctly and that the product is not compliant. It also may not be safe. 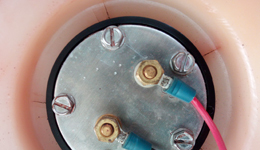 "When it is returned to an authorised service facility it is thoroughly inspected including PSI readouts from the pressure of the inflated chamber, the o rings are inspected and replaced on the operating head and a full structural inspection takes place to be certified as compliant." If you intend to keep using inherently buoyant lifejackets, remember, they need to be cared for as well. 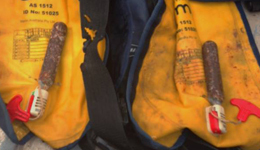 We’ve been seeing more and more lifejackets with perished stitching, which leads to broken straps. Don’t keep lifejackets in their original packaging where moisture and salt could accumulate and rot the material. Remember, lifejackets should not be stowed away when they’re still wet, because this can rot the stitching and webbing. Try to keep them out of direct sunlight, because the UV rays can deteriorate the materials. If you are not checking your lifejackets regularly, you may find that during your time in need, they may actually let you down. Take a look at your lifejacket, search the brand name online and follow the care instructions specific to that manufacturer. If you have an inherently buoyant lifejacket, remember to care for that too. Wash the lifejacket, let it dry, then stow it out of direct sunlight. If an inflatable lifejacket, check that it manually inflates and holds pressure for a period of time by inflating it using the mouthpiece.